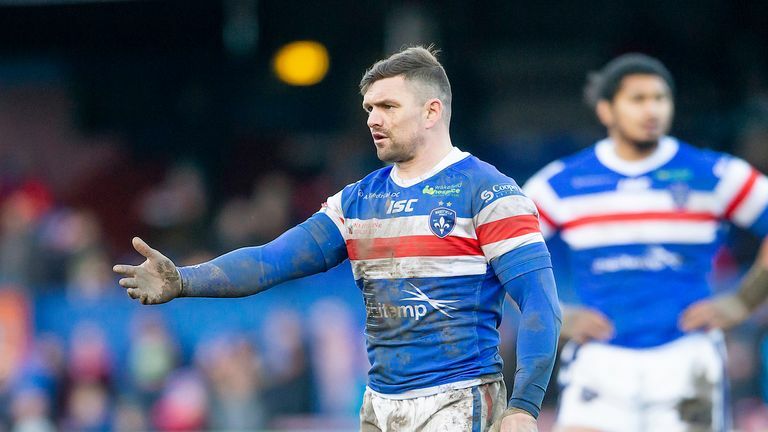 Chris Chester hit out at Wigan's "naughty" tactics after Wakefield lost four players to injury in their 30-20 victory over the struggling Super League champions. "I've not really had chance to speak to the physio but Jacob Miller doesn't look great, Anthony England was a clash of knees, Reece Lyne another knee and Kyle Wood ankle," said Chester. "It was a crazy game and a lot of naughty stuff went on tonight which I think should have been penalised. "Reece Lyne's knee could have been avoided and there were a couple of other challenges where the players attacked the knee. The sooner we eradicate that from the game the better. That was just ridiculous. "I'm really disappointed the way we lost a couple of those blokes. "We've lost four blokes. It's a tough one and kind of takes the gloss off the result. "The fighting spirit we showed tonight was unbelievable. For David Fifita to do 80 minutes is an unbelievable effort. "I'm just a bit deflated because of the fact we've lost so many key players tonight. With a couple of them I don't think it's going to be short term either." 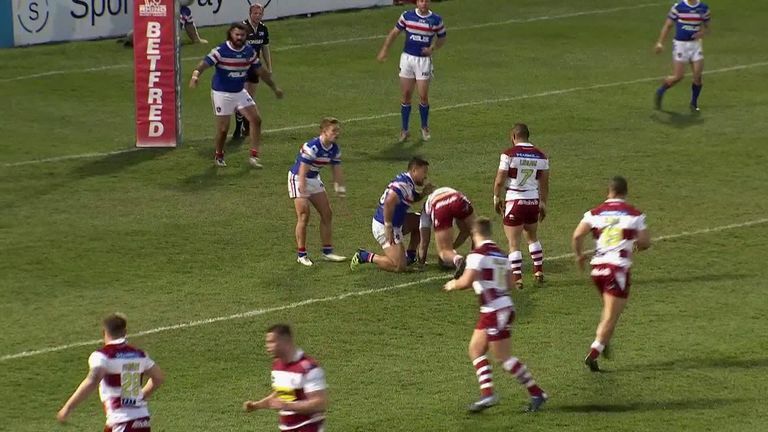 The game came to life in the closing stages of the first half as Wakefield blitzed Wigan with three tries in four minutes through Craig Kopczak, Joe Arundel and Max Jowitt. Ben Jones-Bishop ended his long wait for his first try of 2019 and then added a second to finish the Warriors off in a milestone match for Chester. But the Trinity head coach said: "Tonight's been the most challenging of the 100 games." Chester did have some upbeat news for Wakefield fans, though, with in-form prop Fifita on the verge of committing his future to the club. "David doesn't want to leave," he said. "I'm quietly confident by next week we'll have a signature on paper. "He's a key player for us and I'm confident he'll be here for the long term." While Trinity made it three wins in a row, injury-hit Wigan were left to reflect on a seventh defeat of a wretched title defence. The Warriors are only two points above bottom spot but head coach Adrian Lam is confident they can make a late charge for the play-offs once the injured troops return. "It was frustrating," said Lam. "With the side we had we competed well for 35 minutes then four or five minutes of mayhem turned the whole game. "It's hard to get angry at the players when they're doing their best. There's a lot of young players in there so I just want to keep their confidence up during this period and support them. We need to stick together. "I'm looking forward to making sure we just get through this period in good shape and when players start coming back I think we can do some really damaging stuff at the back end of the year."